Fiber access continues to expand due to the demand for broadband and is undoubtedly one of the most important technologies of the next generation. CablesOne offer solutions to save time and money with Telecom FTTx integrated products without the problems of managing multiple vendors. We offer high quality reliable solutions that are flexible and meet your specific requirements. Fiber to the x (FTTX) is a generic term for any broadband network architecture using optical fiber to provide all or part of the local loop used for last mile telecommunications. As fiber optic cables are able to transmit significantly more data than copper cables, especially over long distances, copper telephone networks built in the 20th Century are increasingly being replaced by fiber. 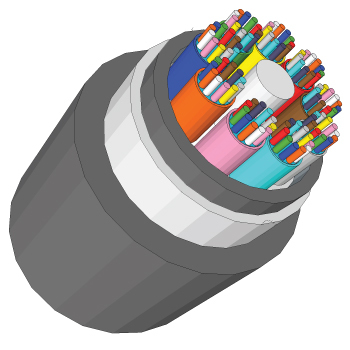 FTTX is a generalisation for several configurations of fiber deployment, arranged into two groups: FTTP/FTTH/FTTB, which is fiber, laid all the way to the premises/home/building and FTTC/N, which is fiber laid to the cabinet/node, with copper wires completing the connection. Outside Plant (OSP) cables supplied by CablesOne consist of 250-micron diameter fiber optic cables that are positioned in a loose tube made of a high modulus plastic. The tubes are filled with a water-resistant filling compound. A Fiber Reinforced Plastic (FRP) located in the centre of the core acts as a non-metallic strength member. The tubes and fillers are stranded around the strength member into a compact and circular core. 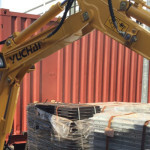 After an Aluminum Polyethylene Laminate (APL) moisture barrier is applied around the cable core, the cable is completed with a Polyethylene (PE) sheath. All of our Multicore Fiber cable comply with the following industry standards: ISO/IEC 11801, ITU-T G.652.D, YD/T 901 - 2001 as well as IEC 60794 - 1. 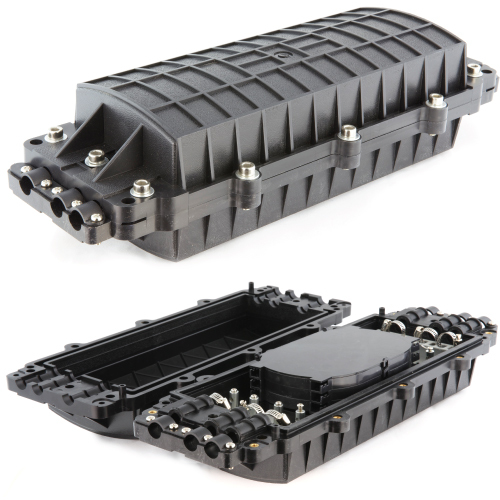 With the deployment of FTTx networks, splitters are playing increasingly important roles. 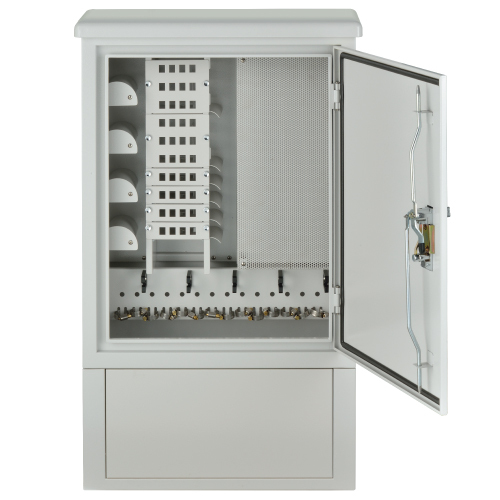 CablesOne offer optical outdoor cabinets which are the best solutions for accommodating splitters/Direct Patching in high density outdoor environments. Advanced fiber optic networks using 'Point-to-Point' or 'Point-to-Multipoint' architectures requires high density fiber distribution points to supply FTTX services to the customers. 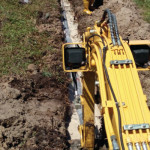 High-quality fiber optic connectivity relies on the increased protection offered by weatherproof outdoor cabinets. Fiber Optic Inline Splice Closures (FISC) are specially designed to provide reliable and long-lasting protection for optical fibers and splices, combined with maximum ease of installation and maintenance. CablesOne offer a full range of closures, optimized for all network architectures. Specific versions are available, dependent upon the number of fibers or cables, cable diameter and the type of optical cable, which can be single or ribbon fiber. Splice cassettes are ordered separately to optimise flexibility and efficiency. 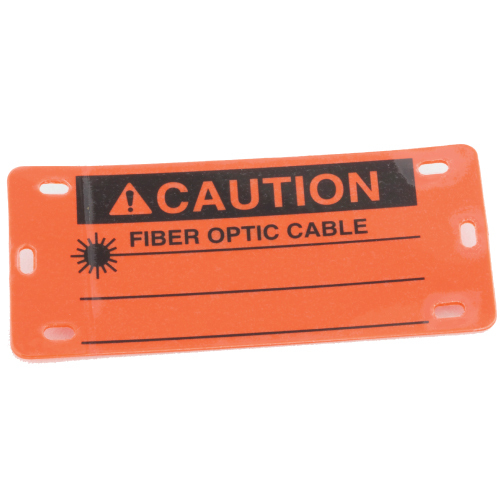 Self-laminating Fiber Optic Cable Tags are the perfect choice for marking your ground level and underground cables. These tags feature a self-laminating flap, which provides an extra layer of protection for your information. Simply write your message on the tag, peel the liner from the laminate flap and apply. Made of heavy-duty plastic, they are built to last allowing you to easily find your cables year after year. Dimensions: 3.875" W x 1.75" H.